Ah the lovely joys of back to school season. This is the time when work at home parents have to learn to juggle sports, extra-curricular activities and back to school shopping trips all between getting client work done and keeping the household afloat. During the days of back to school season it can be easy to wonder why we have to feed our children, bath them and tend to their needs. The struggle is real during this time of year for any parent, never mind the work at home professional. 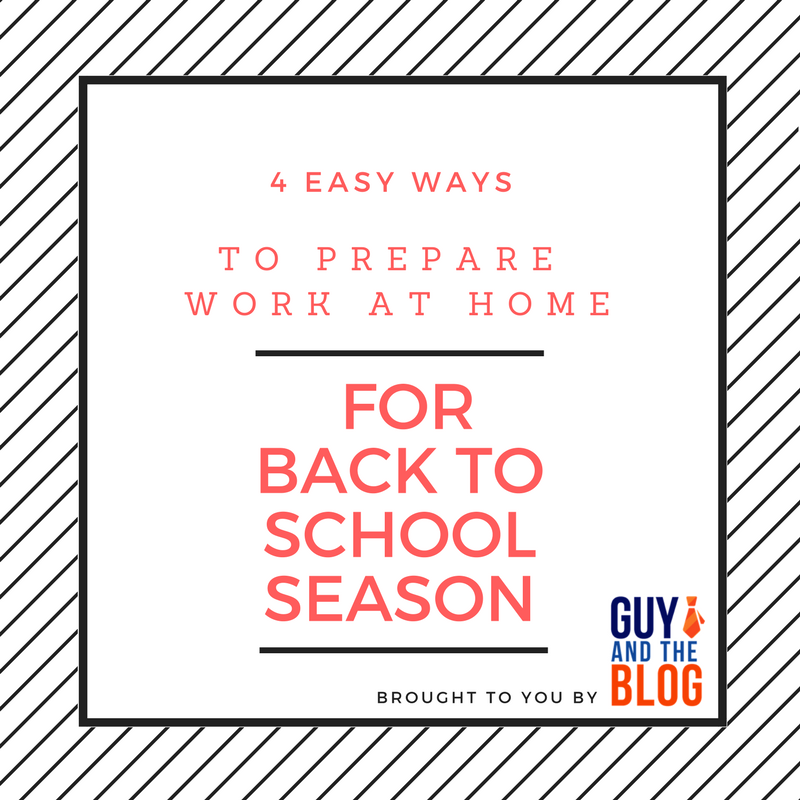 If you are determined to get your work done while juggling back to school season then continue reading for 4 easy ways to prepare work at home for back to school season. Not only do you need to get those kids back onto a school routine but you must have your house setup properly for the homework sessions, after school snack time and the hustle and bustle that comes with school life. Setup cubbies and other organizational areas so that your kids know where homework will be completed and where their daily after school snacks will be. Get the lunch area ready in the fridge so you pack up their lunch the night before and there’s a designated area in the fridge for them to grab it on the way out the door. Be certain you have the house setup for this back to school, crazy activity season before it even begins. Next you will want to be ready for less working hours and more parenthood hours. The beginning stages of back to school season require more parental duties, driving kids here and there as well as being prepared to complete the loads of paperwork that arrive for parents to complete at start of year. Prepare your work at home clients so that they can be a little more flexible with deadlines as well as to prioritize workloads so that you know what tasks can wait a little and which ones need to be completed before back to school season gets in full swing. If your kids are in many activities such as sports, band and other extra-curriculum activities that can take up time in the evening hours then get that schedule ready. At this time the school and teams may not have a schedule but you can at least try to create a schedule in anticipation for the extra time you will need for the parental duties once school starts. Some sports and activities start before school has begun, be prepared with this schedule that will be placed in the family room for all to see. Depending upon the ages of your kids, you should consider having a family meeting. The kids have just had a full summer break of lax routine and you have taken full advantage of not having to leave the house in the middle of work at home hours for months now. It’s time to sit down as a family and get united on a plan of attack for back to school season. Allow for open communication so that each family member may address issues or questions they have and make a plan for how you will work together as Team Family to tackle this back to school season while still getting work done. There you have it, 4 easy ways to prepare work at home for back to school season. It may seem like a hectic time but if you take each step one by one, you will soon feel calmer and more prepared to get everything done that needs to get done. Good luck with your mission to get work done while juggling all that back to school season brings to your life.